The BBC has announced it will start running adverts on podcasts available outside the UK for the first time. The move is part of an initiative to find new funding to supplement the BBC’s existing commercial income. It will see global podcasts brought in line with the BBC World News TV channel and the bbc.com/news website, where audiences already see advertising. Podcasts will have a 30-second advert at the start and end of each episode. Bob Shennan, director of BBC Radio and Music said: “Podcasts are one way we’re reinventing BBC radio to engage younger audiences with our world class content. The technology company Acast has been named as the BBC’s official partner to lead on the commercialisation of its podcasts and audio. The deal covers all BBC podcasts available outside the UK, subject to rights restrictions. Acast will use advanced targeting abilities and analytics to monetise international content while making sure adverts are not directed at UK listeners. Mary Hockaday, controller of BBC World Service English said: “BBC World Service podcasts have become an important, and successful, part of our offer to global audiences. The BBC began producing podcasts in 2004 and is one of the largest podcast producers in the world, with content available across a number of subjects including news, drama and entertainment. 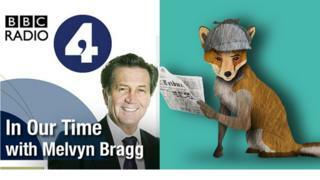 Some of the BBC’s most popular podcast offerings are Global News Podcast and World Business Report from the BBC World Service; Friday Night Comedy and In Our Time from Radio 4; and 5 Live’s Kermode and Mayo’s Film Review. The BBC has recently launched a number of new podcasts to help attract younger audiences – including a number of true crime series, the Naked Podcast and You, Me & the Big C, which looks at life dealing with cancer.